Cast member Colin Firth arrives with his wife Livia Giuggioli for the world premiere of "Kingsman: The Golden Circle" in London, Britain September 18, 2017. ROME - British actor Colin Firth, who has often played the role of a quintessential Englishman in his many films, has become an Italian citizen, Italy’s Interior Ministry said. British media reported last year that Firth had applied to become Italian following the British referendum to quit the European Union. “The very famous actor, who won an Oscar for the film The King’s Speech, is married to a citizen from our country and has often declared his love for our land,” the Interior Ministry statement said. 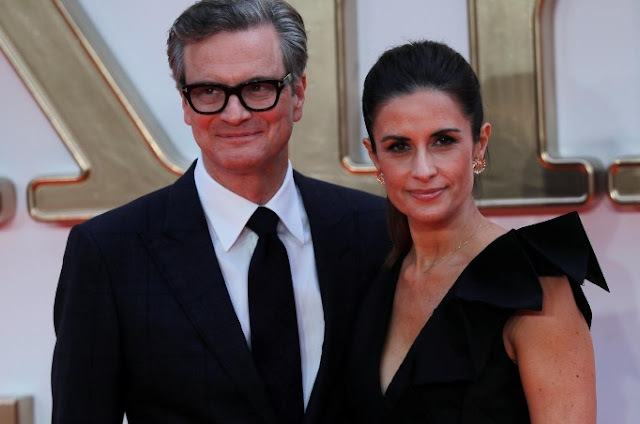 Firth has been married to Italian film producer Livia Giuggioli since 1997 and the couple live with their two sons in Britain. Unlike other EU countries, Italy allows dual nationality so Firth can keep his British passport. A number of EU countries, including Germany, France and Ireland, have reported a surge in British nationals seeking a new nationality in the wake of the Brexit vote. The Italian announcement about Firth’s new passport came just hours after British Prime Minister Theresa May flew to Florence to make a keynote speech to try to revive stalled Brexit negotiations and reassure worried business leaders. British actor Colin Firth, who has often played the role of a quintessential Englishman in his many films, has become an Italian citizen, Italy’s Interior Ministry said.